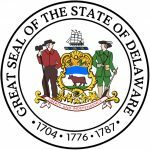 The Delaware Secured Promissory Note Template is a contractual document that is entered into by two parties (lender/borrower). The note serves to outline the various terms of a loan, and is “secured” because the borrower pledges collateral to the lender. If the borrower defaults on the note, the lender can legally take possession of the pledged assets in order to recoup the balance of the loan. These kinds of notes differ from unsecured ones, in that unsecured notes are not backed by collateral. Step 1 – Download the template in .PDF or Word format. Fill in the date which the entire sum of the note is due (DD/M/YY). 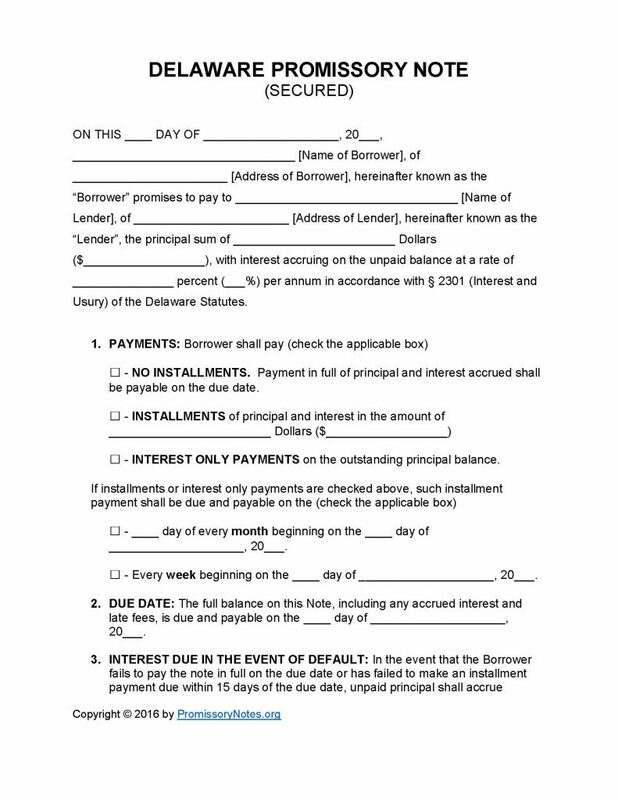 Step 6 – Interest Due in Event of Default: This subsection details the interest rate that will be applied to the balance should the borrower default on the note. Enter the number of days the borrower will have (after the agreed payment date) to pay the weekly/monthly amount (before the lender will issue a late fee). Enter the number of days the borrower will have to cure a default. Should the borrower fail to cure the default within this time period the lender can demand the full balance of the note (due immediately). Provide a description of the pledged collateral.